NCAA Men’s Basketball Tournament history was made last week when the Florida Gulf Coast Eagles, in their inaugural tournament appearance, became the first ever 15-seed to advance to the third round, joining other underdogs like 13-seed La Salle Explorers and 9-seed Wichita State Shockers in the Sweet Sixteen. But there’s another team that has not only beaten the odds to advance this far into the tournament, but also boasts a league first of its own – one that demonstrates how sports and politics are so often inextricably interconnected. The Oregon Ducks, the Pac-10 champion and current number 12-seed challenger to top-ranked (and odds-on favorite to win it all) Louisville, is home to 22-year-old senior Arsalan Kazemi, the first Iranian-born athlete to play NCAA Division I basketball. A 6-foot-7, 226-pound forward, Kazemi is the son of candy factory owners in the beautiful Iranian city of Esfahan. Falling in love with the game at the age of 9, Kazemi excelled in junior basketball leagues in Iran and eventually came to the United States on his own at the age of 17 to pursue his hardwood dream. After playing a year of high school ball in North Carolina, he accepted a scholarship to Rice University in Houston. 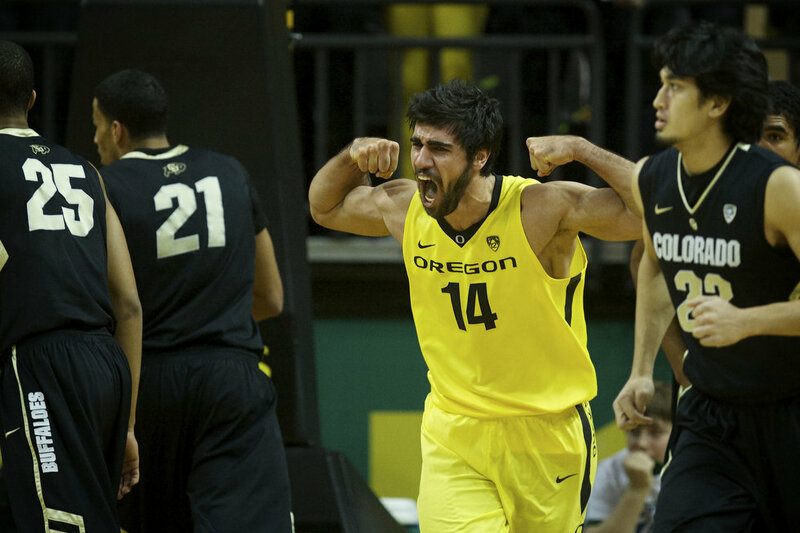 A year ago, Kazemi transferred to the University of Oregon for his final college season. Kazemi’s parents have been unable to visit their son in the United States because of difficulties in obtaining a visa. Kazemi says his mother is still his biggest fan and watches his games online. He speaks with his parents regularly, at least twice a day, via Skype, and says that his decision to leave Iran was a “sacrifice” made for the love of basketball. While he has become an integral and impressive part of the Ducks’ frontline, grabbing a combined 33 rebounds in the team’s two tournament wins so far, Kazemi’s nationality is – unsurprisingly – always a topic of conversation. He seems to have adopted an unofficial role as good will ambassador. Kazemi has drawn small groups of Iranians to Oregon’s road games and says he often receives letters from fellow Iranians calling him an inspiration for their country. Needless to say, he is appreciative of the support he’s received at Oregon and at away games, especially when greeted by fans waving Iranian flags. Such discrimination may explain Kazemi’s decision to leave Rice University last year in search of a new school. Kazemi has declined to speak about the subject with the press and Rice’s Athletic Department has strongly denied the allegation. Kazemi is completing a sports-management degree at Oregon and also has tentative plans to continue his education and obtain a sociology degree. In 2010, Iranian-American guard Ali Farokhmanesh hit a game-winning 3-pointer against top-seeded Kansas to take the University of Northern Iowa to the Sweet Sixteen. He now plays pro ball in Austria. 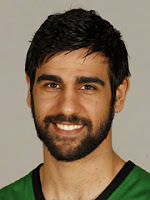 If Kazemi were to make it to the NBA, he’d be the second Iranian in the league. Hamed Haddadi, now a center with the Phoenix Suns, blazed that trail back in 2008. Kazemi says the two are friends. Oregon plays number one seed Louisville Friday night in Indianapolis.